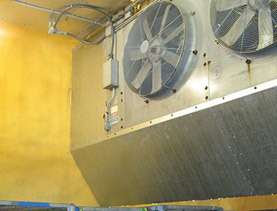 Blast-freezers and blast-chillers are used for quick freezing and chilling applications. Anisons can design, supply and install these modules. They are constructed in the same manner as Anisons modular cold storage facilities. Blast-freezers can reach temperatures as low as -40°C.